These eight albums are first-time issues of 1970s broadcasts by the YLE (Finland’s BBC equivalent). On alternate weeks, Pop Liisa showcased rock and prog bands, while Jazz Liisa offered, well, jazz. That said, it was the 70s and the two genres often overlapped, as did the musicians involved. So, labels are irrelevant and invidious, what we have here are several hours of unique performances from a time when there were limited venues and even more limited recording opportunities. 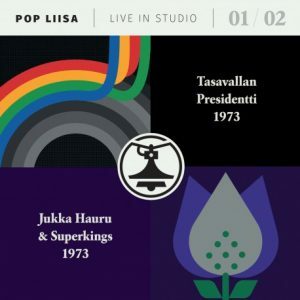 First up, Tasavallan Presidentti with two side-length tracks. 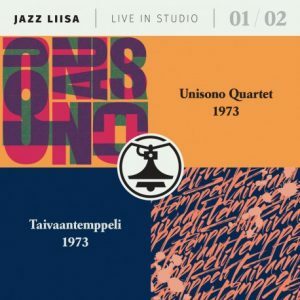 On Lennosta Kii, a cover of a 1968 tune by saxophonist Eero Koivistoinen¸ after the initial funk bass intro, the closest touchpoints are Hawkwind and the Grateful Dead. Jukka Tolonen stands out with a classic blues-rock guitar tone and fluid, adventurous solos; as does Pekka Pöyry’s screaming sax solo. On the second track, Tolonen is still centre-stage and there are clearer jazz influences in the more improvisational format; still pretty prog-rock though, with folky touches. Jukka Hauru & Superkings take us into more jazz-rock territory, with Poutanen’s violin central to the sound and giving an obvious nod to Mahavishnu Orchestra, and Ahventlahti’s Fender Rhodes evoking Headhunters-era Hancock. Basically, this is great blues-driven fusion with an experimental edge, unsmothered by commercial considerations. Standout track: Angel. 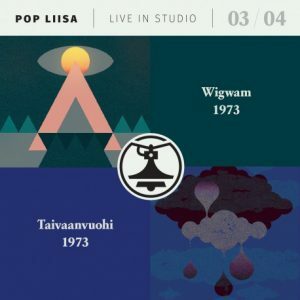 Wigwam are possibly the most well-known group here, both in and out of Finland, and not to underrate them at all but this is pretty much pure folk-rock; beautifully done but probably of least interest to jazz fiends. Standout track: the Thick as a Brick-reminiscent Nipistys. Taivaanvuohi are the most obscure and underground outfit here (this is their first recorded release). This is driving, frequently psychedelic rock notable now for the presence of reedman Pepa Päivinen, still going strong in today’s jazz scene (check out his Zappa-esque album “Tiram Num” from 2005). Standout track: Gloom/ Muukalaiset Yössä for Päivinen’s flute and Siitonen’s bubbling bass; and maybe also the storming version of Orange County Lumber Truck! On to the jazz sessions and Unisono Quartet. The freeform melodies from Paakkunainen’s soprano are underpinned by Reiska Laine’s tight yet unpredictable drumming. Despite the Fender Rhodes and electric bass, the first two tracks are quite non-fusion, harking back to a more modal period. However, the standout track is Totuuden Aarreatitta on which Lievonen’s bass anchors a more fusion-y collage and Laine breaks out a lurching is-he-isn’t-he drum solo. Lievonen features again, driving Taivaantemppeli with doses of heavily grooving fusion, supporting Jakola’s high-flying flute aeronautics. The standout has to be Totem Dance with its sinister temple intro leading into a freakish soundtrack which includes the kitchen sink, and has everything in its place. 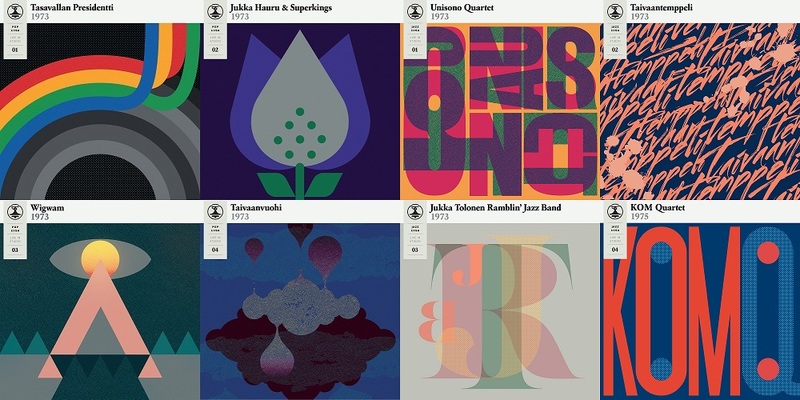 Previously seen in Tasavalan Presidentti, Jukka Tolonen presides over two lengthy extemporisations from his Ramblin’ Jazz Band, beginning with a prolonged (but not actually rambling) acoustic guitar intro. 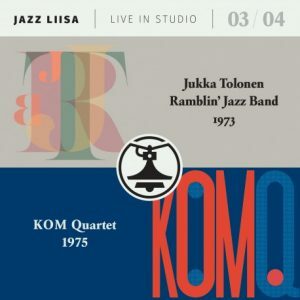 Koskinen provides a pure tone in the only trumpet contributions across all eight albums and the presence of twin bassists and twin drummers results in a lovely density of sound. Standout track: probably A Warm Trip With Taija for Tolonen’s solo. Finally, we veer away from the fusion path a little with five songs from KOM Quartet, the (kind of) house band for the KOM-theatre, apparently a hotbed of political awareness and social commentary. We still have bluesy funk guitar (courtesy of Jukka Hauru, last seen with his Superkings) but there’s frequently more of an operatic or chamber jazz flavour, largely established by Orpana’s soprano vocals and Ojanen’s piano. Standout track: Älä Tuhlaa Aikaa for the joint vocal contributions of Orpana and Melasniemi. With handsome packaging, informative liner notes, and excellent sound quality (which may be even better on the vinyl versions) this is a fascinating historical insight into the evolution of jazz and rock in Finland. If your idea of Scandinavian jazz is ‘Nordic Cool’ then travel back to the 70s for something altogether more fiery. Available on CD or vinyl from Svart Records (this review is based on the CD format).